Jordan couldn’t sleep last night. It was about 2:30am when she came into my room crying because she thought there was a bee in her room. I prayed for her, checked her room and got her all snuggled in, but she was back about 10 minutes later. She said she couldn’t stop thinking about the bee. The second time Jordan came, ruminating on the bee, we talked about that verse in Philippians. I gave her some suggestions of what she could think about instead of focusing on the bee. My idea didn’t work, so she was back a third time about 5 minutes later. That time, instead of praying for her, I asked her to pray for God to give her something to think about. She was so sweet, crying as she prayed, knowing that God would guide her. I gave her another suggestion, but I told her that she should focus on whatever God leads her to focus on. Ditch my idea if it’s not working. And isn’t that what we’re here for? Parents are here to guide their children until their children can learn to be guided by God. We teach them what it means to follow authority, preparing them to follow the Ultimate Authority in their life. We teach them to obey us, knowing that obeying God, who speaks in whispers, will be more difficult, but so much more important. 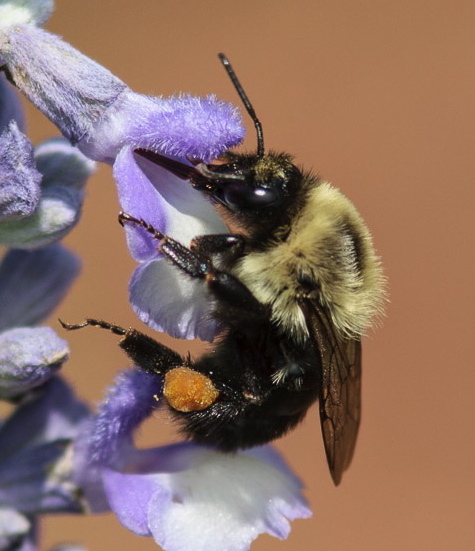 Thanks to my amazing brother, Rick Baumhauer of Baumhauer Photo, for the gorgeous bee picture. If you like the bee, be sure to check out his gallery. A good lesson for every one of us for sure. You are an amazing mother, daughter, sister, wife and child of God. Every time I read your blog I get chills. You put things in life in perspective through the eyes of God. WOW. I thank God for you and your brother. I have 2 amazing and talented children. God has certainly blessed me in so many ways. Just watched Rick’s Gallery also. So cool and so talented. He has such an “eye” for just the right shot with his camera. May God bless you both. He loves you so much and so does your mother.